ANATHEMA - A NATURAL DISASTER VINYL RE-ISSUE (LP+CD) | Online Shop | Wizard LTD. 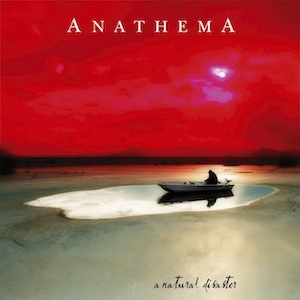 Album: "A NATURAL DISASTER VINYL RE-ISSUE (LP+CD)"
2003&apos;s A Natural Disaster developed further the artistic direction established by Anathema&apos;s breakthrough album, A Fine Day to Exit. The album featured few traces of the band&apos;s Doom Metal past, and built on experimental ideas and atmospheres to create a deeply personal and emotional statement. A Natural Disaster was Anathema&apos;s last album prior to the collapse of the Music For Nations label, and its successful 2010 follow up, We&apos;re Here Because We&apos;re Here. The artwork is by Travis Smith (Opeth, Katatonia). A Natural Disaster is presented in a gatefold cover as a double heavyweight vinyl edition.